In 2013, I was lucky enough to be allowed to return to Live!, this time in Orlando. I felt much better prepared for this event. Booking early enough to be in the hotel right beside the convention centre means no 100+ degree walking outside. As everyone knows, book early to get the sessions you want and I was able to book everything I wanted to see. On arrival day we were presented with a beautiful new Social Hub from Cisco. Screens and leaderboards, and a scavenger hunt game here and there. We felt supported by Cisco – but not controlled. A beautiful white carpeted space with loungers, tables, and a semi-private area hidden behind the social hub. Cisco welcomed us with open arms with receptions, food and drink and the community and Cisco started to build a relationship. Just like any social group there were lovers and haters, up’s and down’s and the occasional pre-madonna. Let us be honest, in a group full of geeks and nerds there had to be some kind of tension and for me that tension was starting to mean we were growing as a group. This year I started to connect with more canucks like myself, Jody Lemoine – @ghostinthenet and Mario Gingras – @gingmar. Speaking about IT in Canada and how the landscape was different. Continuous thanks goes out to Mario for making me his +1 at the CCIE event which this year was something special when Universal shut down half the park just for us. This year my focus was UCS, Hyper-V, Security and Nexus Architecture. As my employer was not a partner, and we were not a networking company – I had to keep my skills sharp to remain competitive. Cisco was in a state of flux internally and a segmentation of BU’s was in progress. Even internal competition was starting to be evident with the Nexus and Catalyst teams competing in some way. Re-uniting with previous Cisco Live colleagues was great, running to sessions only to return to the Social Hub to discuss what we heard in sessions and learned in the World of Solutions. 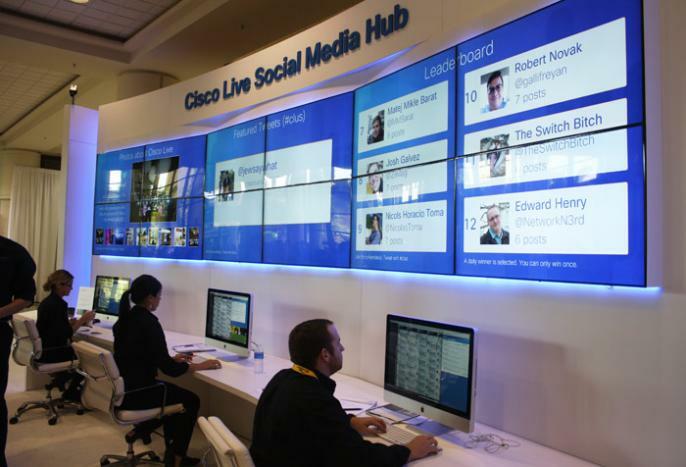 Watching the evolvement of social within Cisco was interesting. Taking the bull by the horns was Kathleen Mudge – @kathleenmudge who was the brave person within Cisco who was willing to try to “Wrangle the nerds”. We were offered some perks for our activities but everything felt very organic. The group was growing organically, and our contributions were also organic. Nobody expected prizes, rewards or swag – but we all seemed to be rewarded genuinely for our efforts within this community of professionals. A few of us decided to sit out the keynote speech and watch it on live stream at the Social hub. With 3 different people covering the keynote – one with tech details, one with social response and one with other insights the #CLUS hashtag started to trend. It turns out trending hashtags for corporate events cost money and Twitter decided to start locking out anyone using the tag excessively. Social was starting to take hold. This was the year I met some more amazing people, @wifijanitor – Steve one of the most gifted wireless professionals I have ever met, Steve always has strong opinions about wireless topics with his extensive experience at being unplugged. @amyengineer – Amy a UC professional with a spunky attitude towards technology and an amazing UC BLOG which I have been reading for some time was, not exactly who I thought in person. @sharpnetwork – Yvonne – Well, I mention this extraordinary individual simply due to the personal encouragement provided. A great conclusion to the event, I was able to spend time with one of my close friends Kaj Niemi – @Kajtzu, a quiet but extremely intelligent Finnish gentlemen who I admire as a leader in the IT field with significant leadership and architecture experience. My wife who flew down for a vacation after the event and the three of us enjoyed some local seafood and shopping before saying goodbye as we left for the Caribbean and Kaj left to head back to Finland. For me this started in 2012, when my employer at the time was willing to let me go to Cisco Live 2012 in San Diego. I knew absolutely nobody, I did some reading on how to get the most from the event – I had no idea what I was getting into. I packed what I thought I needed into one standard roller bag and flew to the venue in San Diego. For a few years my time was spent outside of the partner space, working for a small dairy producer and now for a cloud services provider here in Canada. As the lone internetworking resource for the company, I was responsible for anything that had to do with routing, switching and security for the company – I was here to learn and catch up on the latest and greatest, but how? There is so much content around every possible discipline and with Cisco now seriously in the server marketplace and virtulization really taking off, this was no long just about routing and switching. I responded to a tweet by @networkingnerd – Tom Hollingsworth which was something as simple as “Hey I’m meeting up at 6pm in the corner of the convention centre”. I didn’t have anything going on that arrival day, so I went there. I ran into this jovial southern gentlemen who made fun of me for saying aboot, eh and sorry – but I made up for it when he tossed me a “Y’aller”. Clearly Tom had the ability to bring people together, in a very relaxed manner. This was some kind of dis-organized organization. We played “Keynote bingo”, and compared notes about sessions; in the progress meeting some of the most intelligent and witty people I had ever met. These people challenged me. 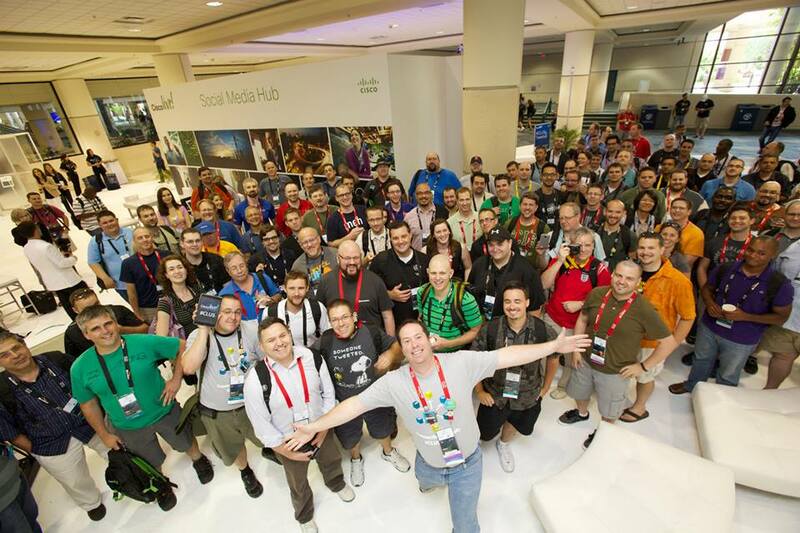 One of the most interesting people I met that day was Kellen Christensen – @ChrisTekIT a very interesting individual from Portland whom we struck up an immediate bond and to this day we have become good #CLUS friends. We both worked in the dairy industry so we had some things in common and his general nerd-ery was very compatible with mine. One day I hope to spend time with Kellen outside of #CLUS. I remember fond memories of spending time at the Customer Appreciation Event with him, also wandering the World of Solutions floor. Cisco Live! is overwhelming for a first timer, you almost need 2 full weeks to really see everything that is possible to see – 4 days is simply too short. However after a week of up at 6AM and sleep at 1-2AM – it does start to drain on you. I will feel bad for forgetting the names and twitter handles of all of the people I met that year. Social was just a bunch of nerds in a corner that year.